The meeting stared a bit late. Chair Kate O’Connor began by explaining that there was a camera problem for those following the ASL interpretation, that the liquor application will be rescheduled to a later date, and congratulations were due to the Strolling of the Heifers for a successful Brattleboro event. Town Manager Peter Elwell told the board that the much-anticipated first meeting of hub towns would occur on June 12th. David Schoales said that the recent success of college students visiting Brattleboro to explore diversity and job opportunities would continue this fall, with a visit from UVM students. For public participation, Dora Bouboulis had two issues. The first was to point out the need for some attention to the intersection of Flat, Frost, and Elm streets. She said Brattleboro should start think about improvements for safety, as new businesses move in and traffic increases, and drainage. She wanted to raise the issue well before budgets are proposed. Elwell said he’d be happy to meet and discuss the law, but also that contracts with employees fall under additional laws relating to labor relations. Labor relations agreements were always doen in executive session, per labor laws. FY19 Solid Waste Budget discussion was continued Tuesday. Assistant Town manager Patrick Moreland explained that in the budget submitted earlier to the board, the disposal cost of solid waste was off by $5 a ton. The new, correct lower price shaves $5,000 from the FY19 budget. Brattleboro currently gets rid of 938 tons of refuse, 1107 tons of recycling, and 619 tons of compost each year. The board also heard more about a transfer of $105,000 from the General Fund to the Solid Waste Fund to cover projected deficits. This is the last transfer request like this, explained the Town Manager. The Solid Waste Fund will henceforth be developed in tandem with the General Fund budget each fall. Shanta Lee Gander wanted to know the impact of the solid waste program on all citizens, saying that it was very important and key to making us a better town. “The financial impact?” asked Kate O’Connor. Tim Wessel said that people could make their own compost. He was in favor of folding the solid waste budget into the general fund budget in the fall. Town Manager Elwell said there might be a way to fold it it and keep it distinct enough for the necessary accounting. At the very least, both the Solid Waste and General budgets would be developed in sync from now on. Dora Bouboulis said that there was a labor cost to creating and processing the compost. She agreed that more education about what can and can’t be recycled is necessary. She also suggested we demand all takeout containers be compostable. The FY19 Solid Waste Budget and transfer of funds was approved. The Brattleboro Selectboard again took up a discussion of the FY19 Parking Fund and related changes to the downtown parking system. Since their last meeting, the board was given information about smartphone apps, and other capital improvements. The board was also given a copy of the parking ordinances to review. Patrick Moreland gave an update on possibilities of using a new app-based parking system for smartphones. This idea was suggested by the Downtown Brattleboro Alliance. Starr and Schoales wanted the app, meters that took credit cards, new kiosks, and continued coin ability. Moreland and Elwell said they could do all options, and how the improvements were funded would depend on the total cost, to be determined later. O’Connor agreed cell phone service was spotty downtown, and the Chamber of Commerce gets many complaints. Moreland said the app firm provides signs and educational materials. He said the app will show remaining allowable time for each spot, and that people have a tendency to max out the time when using it, so revenues should go up. Wessel wondered if revenue from tickets might decrease with easy alerts and payments. Gander suggested an educational campaign about the full parking system should accompany the rollout of any new features. Improvements to the top stairwell in the parking garage and to spend some funds on bike parking racks are planned. Lighting and painting improvements at the parking garage may also occur, depending on cost. Dora Bouboulis echoed the sentiment about shoddy cell service. She said Verizon has a dead zone downtown and many buildings don’t get data, so people won’t be able to update their parking from everywhere. She also lamented the poor signage all over downtown. Stephanie Bonin said “the gift is to avoid the new costs” of meters that accept credit cards. She said Brattleboro could be like other towns using the app. She said signal strength of phones shouldn’t be an issue, according the app maker. Revenues ($849,800) and expenses ($777,000) remain as they were from the last meeting. Board members agreed to pass the budget, then take up recommendations in the parking study, such as business parking spaces, bike parking, and updated ordinances. No one asked who made the app, what it was called, or the cut of revenue that would be taken. It’s the Fourth of July Parade. On the fourth. Of July. And it has been approved by the board. Kate O’Connor said members of the public could be in the parade as well. She then volunteered John Allen’s convertible as a possible vehicle for the board to ride in. Josh Davis, Executive Director and Rhianna Kenrick, Director of Operations were joined by Emily Kornheiser of Youth Services to give the report. Davis said that they had asked for town support last year, had changed locations from First Baptist Church to the Winston-Prouty campus, and shifted from a model using volunteers to paid staff. A 12 passenger van was purchased to help with transport, too. Kenrick gave an overview of the report. She said the number of people facing chronic homelessness is rising. She also said it was a myth that people come to Vermont to get better programs or resources. “Most are homeless in communities they have connections to,” she explained. The report itself said that during the 2017-2018 season, 155 individuals were served by the seasonal overflow shelter during their 168 nights open. 105 were men, 48 were women, zero transgender, and two non-binary. Nine were veterans, and 50 could be considered “chronically homeless,” up from 28 the year prior. “The report doesn’t mention children,” noted Kate O’Connor. Kenrick said children were allowed at this location, primarily due to substance abuse of others. Twelve nights were over capacity, down from 71 the year prior. Groundworks asked people where there were the night prior to staying at the shelter. 28 said a shelter, 39 said a place not meant for human habitation, two were in transitional housing, 16 came from a psychiatric hospital, five from a non psychiatric hospital, three from a substance abuse center, two from jail, three from rental apartments, nine from self-pay motels, 11 were with family, and 33 were with friends. Data on income was also gathered by Groundworks. 30 had social security for income. 32 had SSDI, three had veterans benefits, five had general assistance, two used Temporary Assistance for Needy Families, 2 earned child support, one had workers compensation, and eight were employed. Health concerns were also noted. 74 were dealing with mental health issues, 12 with alchohol issues, 33 with drugs, 10 with drug and alchohol, 30 with chronic health problems, and 46 with disabilities. One hundred stayed for less than one month, 31 stayed for 1 to 2 months, and 24 stayed for 3 to 6 months. After leaving the seasonal overflow shelter, 10 reported heading for Groundworks Shelter, six to an emergency shelter, five to self-pay motel rooms, 30 in places not meant for human habitation or camping, three to a psychiatric hospital, one to a hospital, two went to jail, six moved into subsidized rentals, seven moved to unsubsidized rentals, 23 turned to family or friends temporarily, three moved in with family permanently, and 58 had no exit interview. 82% of the seasonal overflow residents were from Vermont; 66% from Windham County. 14% come from other New England locations. Just 0.5% are from outside New England. The new space at the Winston Prouty campus and new staffing used this year have shown promise, with the small benefits of actual beds and closing doors significantly improving Groundworks’ ability to care for people. New staff allowed for increased support to them as well, and reducing the need to call emergency services quite so often. Kenrick said staffing. Wessel said he was an advocate for a location closer to downtown. Davis wanted to correct a newspaper story saying that WInston-Prouty was a permanent home. It is not, though they plan to be there next year. Work on a possible Day-Work jobs program continues, but isn’t ready for prime time. Groundworks did some research, but doesn’t have the capacity to take it on. Tim Wessel thought paying for the program might be the biggest hurdle, but that the meeting of hub towns might lead to some possible revenue sources. Kornheiser said the program would cost money, but was very doable. The final update regarded possible drop boxes for people to donate directly to agencies, or the work program. Town manager Elwell said they could install them anytime, but suggested waiting to roll them out along with the jobs program, to tie them together. Gander wondered if money could be collected and put into escrow until needed, but the idea didn’t go anywhere. Valerie Stuart reminded the board that there were many hungry, poor people in town. She said state and federal agencies should be involved in the jobs program, and could possibly provide funding. Dora Bouboulis said that drop boxes for donations would not stop panhandling downtown. She suggested looking to Burlington for inspiration. Patrick Moreland gave the board an overview of energy audit related projects. The report began with a review of the 2016 energy audits of the Municipal Center, Brooks Memorial Library, Gibson Aiken Center, Nelson Withington skating rink, Public Works garage, parking garage, water treatment plant, Retreat wells, and several pump stations. Much of the recommended work has been done, he said, but some items remain such as replacing valves at the Municipal Center and roof deck insulation and air handling at the Library. “So we need $700,000 or so to complete the remaining projects?” asked Kate O’Connor. “Yes,” said Moreland, with the caveat that the transition to wood pellet heating would cost more than expected. Delaying this recommendation has meant that deadlines for Windham Wood Heat program subsidies will soon pass, making such a transition more costly. Brandie Starr asked if there was something better than wood heat. “Something seems not so sustainable about it,” she said. O”Connor pointed out that John Allen often expressed a similar concern. David Schoales said Windham County has the reserves to make pellets. Peter Elwell said the audit was the plan, but without specific dates and costs. Those come along as the recommendations are adopted. “It’s what we want to do, and what we can afford to do, at any given time,” said O’Connor. Our needs exceed our revenues, stated Elwell. Daniel Quipp, of 350 Brattleboro, said that work on energy efficiency was both good for the planet, but also good for taxpayers. “It’s one of the best things to spend money on. The sooner you do it, the sooner you save money.” He said he was sorry to hear Brattleboro might miss out on the wood pellet subsidies, but also that solar power can provide electric heat. He reminded the board that Brattleboro voters also adopted an advisory resolution, urging the State and Town to make better progress on energy issues. Voters, he said, asked the State to halt new fossil fuel infrastructure, commit to new energy goals and deadlines, and to make sure the process is fair to all. The Town was asked to protect town lands from fossil fuel infrastructure, weatherize town and school buildings, install roof-top solar, phase out fossil fuels for heating and transport, support alternative transportation, and use 100% renewable energy for buildings. “I’d love to discuss each of those points,” said Quipp. He wanted both a public record, and statements from elected officials. Patrick Moreland spoke of the final energy matter. Representative Town Meeting passed a resolution this year to suggest that the Town buy all electricity from renewable sources (such as Cow Power), and that people of Brattleboro should do the same. Moreland said Cow Power would cost the Town an additional $0.04 per kWh, with the additional cost going to support development and generation of renewable energy. All of the participating farms, Moreland pointed out, are outside of Brattleboro. He said the Town consumes about 2.2 million kWh of electricity through various accounts, and the 18 largest accounts (about 75%) will begin getting energy from the solar array at the Windham Solid Waste Mangement District in July. 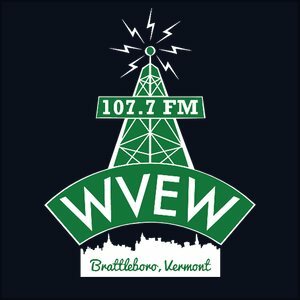 After accounting for all the renewable sources currently in play, Brattleboro estimates that about 10.09%, or 229,041 kWh, is from non-renewable sources. Moreland said the board could invest in Cow Power and send money to other parts of the state, or could support Brattleboro-based renewable energy projects. Board members agreed that looking at local alternatives would be a good step, with Cow Power as a backup alternative. Kit Whallon said that the voters expect the board to do as much as they can as soon as possible. Daniel Quipp said that electricity is the easy part of the equation, and that heat and transportation are harder. He said the board should aim for 100% renewable, so the newspaper could write about it. Kurt Daims said that global warming was not only a local issue but also had state and national implications. He endorsed the use of Cow Power to help farmers and build the renewable infrastructure. David Schoales said that doing things locally by investing in an anaerobic digester would be a double win – once for renewable energy and once for helping the Waste Water Treatment Plant. A request for community renewable projects will be sent out soon. The Melanson Company of Keene will receive $98,445 to install a new 10,600 square foot roofing system for Gibson Aiken Center. They were the only ones to bid, and came in lower than Brattleboro budgeted for the project. The new roof will have two alternating layers of polyisocyanurate insulation and 60 mil rubber roofing. The R-value will be 34.8. D & E Tree Company of Guilford will receive $21,000 to remove some decaying trees on a Town-owned embankment near Horton Place and Homestead Place. The school system will reimburse the Town for some of the work. A previous Bradley House grant from the VCDP has been “enhanced,” which means they’ve asked for an additional $50,000. Executive Director Cindy Jerome said in a letter that the money was needed to cover costs due to final change orders and more project delays, and the impact this has had on occupancy rates. The project is now expected to be complete in the fall of 2018. Elwell said it was in the best interest of the Town to for them to finish and launch well, and that the state indicated funds were likely available outside of the normal grant process. The board approved a grant application from the Police Department in the amount of $88,878 to help cover costs of cases involving child abuse or sexual assault in Windham County. If approved, the money would come from a Vermont Special Investigative Unit/Child Advocacy Center grant. Elwell said this helps meet a regional need with local staff paid for by state money. The skatepark project fund has increased by $15,000. The Brattleboro Selectboard accepted and appropriated a grant from the Thomas Thompson Trust in that amount to help pay for design and construction. Carol Lolatte said that this grant brings them very close to the finish line, and she expects shovels in the ground by next spring. 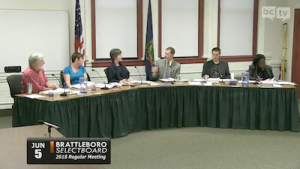 Design bids will be brought to the next meeting of the Brattleboro Selectboard. Franz Reichsman jokingly asked how much John Allen had contributed. Wessel said he made a sizable donation. Each year, the Vermont Department of Libraries offers grants to help pay for interlibrary loaning via courier. This year, Brattleboro’s share is $390, which the board accepted. It’s also the time of the year for unlicensed and unvaccinated dogs to be given a death warrant, which is never enforced as such. Never. Brattleboro’s preferred method is to use the official list of violating dogs to appeal to their owners when and if they meet them and get owners to pay up. Elwell explained that it was a state requirement. Kate O’Connor made her annual remark that the law punishes dogs, not their owners. The warrant was approved 3-2, with Starr and Gander against. So, avoid the cops Gonzo, Radar, Pooh Bear, Charlie, Bug, Truffle, Squirt, Little One, Drogo, Adonis, Artimus, Nacho, Mooshy, Honey Bea, Cracker, Banjo, Bitsy, and others. At least until you are licensed properly. Gail Kennedy-Haines and Janis M. Hall to the ADA Committee for three years; Carmen “Nina” Wilson for one year. Janet Wallstein, Rebecca Schiller, and Ben Shreefter to the Arts Committee. Karen Kale to the Cemetery Committee. Leesette Bengar and Beth Baldwin to the Citizen Police Communications Committee. Tim Dulcos to the Conservation Commission. Maya Hasegawa to the Design Review Committee. Maya Hasegawa and John Eric Annis to the Development Review Board. Lee Madden, Wendy Collins, and Scott Bengar as Fence Viewers. Sherwood Lake, Sr. and E. David Wright to the Honor Roll. William Wilson and Jessica Gould to the Recreation & Parks Board. Debra Miller Chapman as a Rescue, Inc. Trustee. Mark Mikolas to the Tree Advisory Committee. Ryan Stratton as Weigher of Coal. … and various town employees to other official positions. Interesting that time and effort was put into doing a Parking Study, the results showed little interest in an app, and an app is the new focus. How is privacy handled? What data are they gathering? What are they doing with that data? What happens if the app developer changes the terms, or the rate being charged? Is this an open standard that can switched with other suppliers, or if we decide to switch do we start over? Chris, I, too, was surprised to see so much push for parking apps, when, according to the study’s survey, interest was very low for this. And, you ask good questions about the app and its developers. I might borrow those questions to see if I can get some answers. Thank you! Also, who does one contact when it fails? Who gives refunds if necessary? What’s the minimum OS needed? Are rates locked for period of time, or are they introductory? What happens if the app company is bought, sold, or goes out of business? Idea for the collection boxes: get people who make the Little Portable Library boxes to make them, so they’ll look nice!